Wow..Dahi wada kulfi sounds yummy! Will definitely try this☺ Thanks for sharing! Omg, where do u get these ideas Shobha, amazing yaar. And this kulfi sounds very brilliant, prefect savoury summer treat. Priya when there are some contests you have to think of innovative ideas.. that's how this was created. Quite an interesting way to serve dahi vada !! Very creative recipe. Dahi vada Kulfi, I never heard of it. It sounds interesting and delicious. Thanks for sharing! This sure is a very creative way of serving dahi wada! 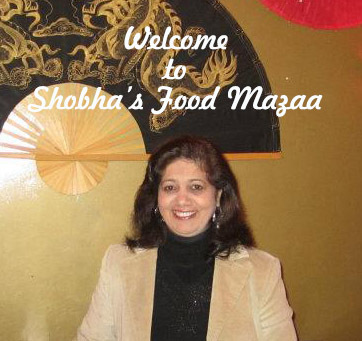 Loved your step by step instructions Shobha! Thanks for the compliment Sandhya. How very innovative. Loved the idea and the execution too. I also love the idea of cold chaat. OMG this is innovation at its best. Love the idea. This is such a unique one, looks so good. Good to have in summer, a cold chat. Right Jayashree.. it is best in summer. Thanks Renu.. do give it a try. Very unique way to serve dahi vada...I don't think I would have even imagined to do that...Thanks for sharing!! This is so innovative and interesting way to serve dahi vada.. amazing share ! this looks like a treat for tastebuds. 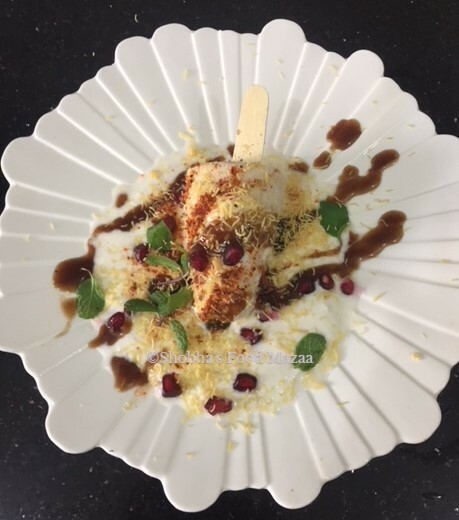 dahi vada in the form of kulfi sounds super fun and delicious. loved the idea. Dahi vada in a new avatar, cool for summer days! Wow dahi vada kulfi is new to me but it sounds super tempting. I love how you always bring new recipes and share with us. Thanks for your compliment.. you made my day. Love this innovative recipe.Unique way to use left over dahi vada. Awesome share. Wow - you are really innovative!! Great way of serving dahi vada. It's a dish we all love so the frozen variety would certainly go down well with us.